In the final days of the Obama Administration, the U.S. Trade Representative launched a new WTO challenge against China. It alleges that China provides subsidies to its aluminum producers contrary to its WTO obligations. Under WTO dispute settlement rules, the United States can request the establishment of a dispute settlement panel in 60 days – by mid-March. That means President Donald Trump’s trade team will have the opportunity to decide whether to pursue the WTO dispute settlement process or take other approaches. This post reviews the subsidies case and sets out issues that the Trump Administration may consider with regard to the dispute. On January 12, the outgoing U.S. Trade Representative (USTR), Michael Froman, requested consultations in the WTO with China over apparent subsidies that China provides to its aluminum producers. The United States alleges that China is providing subsidies through artificially cheap bank loans and artificially low-priced inputs for aluminum production, such as coal, electricity and alumina. The U.S. asserts that China’s subsidies violate the WTO Agreement on Subsidies and Countervailing Measures (SCM Agreement), specifically the obligation to not use subsidies that cause “serious prejudice” to the interests of other WTO Members. USTR alleges that China’s subsidies appear to be causing or threatening to cause serious prejudice to the U.S. interests by displacing or impeding U.S. imports into China and third country markets, significantly undercutting, depressing or suppressing prices or causing lost sales, or by increasing China’s share of the world market. Before initiating the case in the WTO, the Obama Administration made numerous bilateral efforts to persuade China to address the subsidies and resulting excess capacity and production in the aluminum sector. The U.S. raised its concerns in two bilateral forums (the U.S.-China Joint Commission on Commerce and Trade and the U.S.-China Security and Economic Dialogue), as well as, in a September 2016 meeting of the two countries’ presidents. According to USTR, China was willing to discuss the issue, but not to take “concrete steps” to address it. Notwithstanding prior attempts by disputing parties to resolve an issue, the WTO dispute settlement rules mandate a 60-day consultation period, aimed at providing an opportunity for Members to clarify the facts and “arrive at a mutually agreed solution”. Only after that period expires can a Member request the establishment of a panel to hear the dispute. 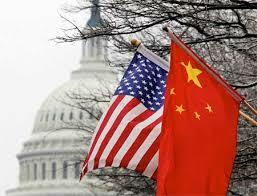 In the China subsidies case, that means the U.S. could request a panel by mid-March. By filing the dispute in the WTO in its closing days, the Obama Administration sets up the dispute for pursuit by the Trump Administration. So, the question becomes how will the Trump trade team handle this case? The subsidies alleged in the aluminum case would seem to fall within the Trump team’s criticism of China’s use of unfair trade practices. Both his nominee for USTR, Robert Lighthizer, and Peter Navarro, who will head the National Trade Council, have been particularly critical of China. Will Trump’s team take the next step in the WTO dispute settlement process and request a panel? Will the length of a typical WTO case be a factor in its decision? If the dispute were taken to a WTO dispute settlement panel, a decision would not likely be rendered before the end of 2017, or the end of 2018, if a panel decision were appealed. Would the possible outcomes of a WTO case make the multilateral process more attractive? If China’s subsidies were found to violate the SCM Agreement, China would have to remove the adverse effects of the subsidies or withdraw the subsidies, or face WTO-sanctioned retaliation. Will the Trump team by-pass the WTO dispute settlement process and pursue a bilateral solution? The aluminum subsides case provides an early opportunity for the Trump Administration to consider how it will it approach such issues. This entry was posted in China Trade, Trump Trade Policy and tagged China Aluminum, China unfair trade practices, Subsidies, Trump trade policy, Trump trade team, WTO dispute settlement by Jean Heilman Grier. Bookmark the permalink.